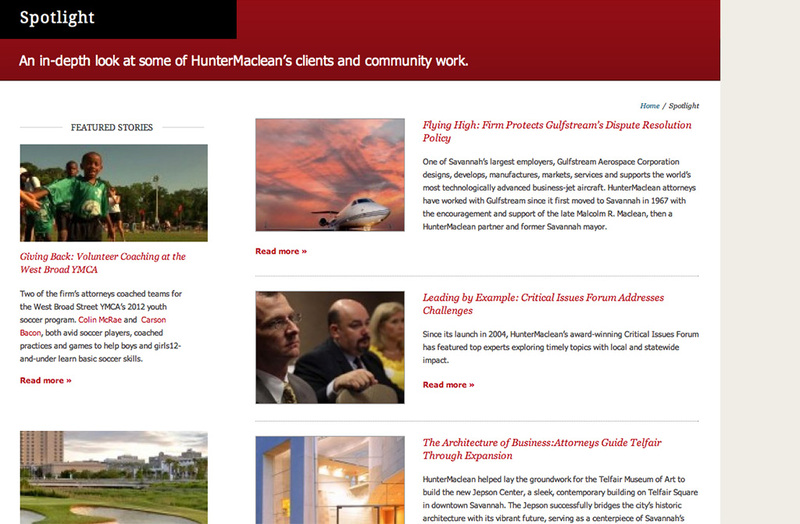 HunterMaclean, a prestigious Savannah law firm in need of an update to their brand and all supporting touch points including their online presence and business collateral. First we walked the client through a thorough brand review. During that discovery period we learned there were mixed feelings internally about the logo; many felt it was time for a change, while others were apprehensive about losing the recognition and brand equity their existing mark had earned over the years. Our solution made subtle changes without losing the distinctive character of the old mark. For the website, a more drastic approach was needed. The existing content structure and content management system wasn’t serving their needs anymore so a complete overhaul was in order. 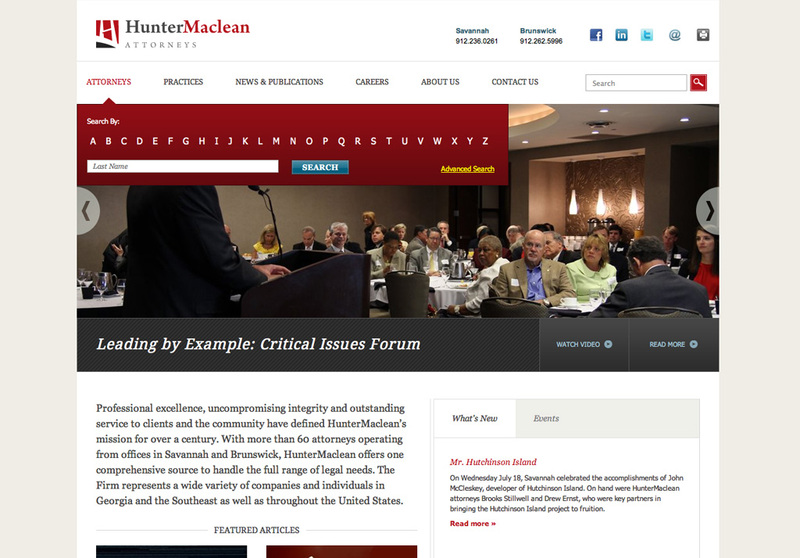 Again, after a period of discovery we gleaned that attorney credentials were the most important content to their clients, so we geared all of our functionality and site architecture decisions around making sure that information was easy to access, and most importantly, easy to update. 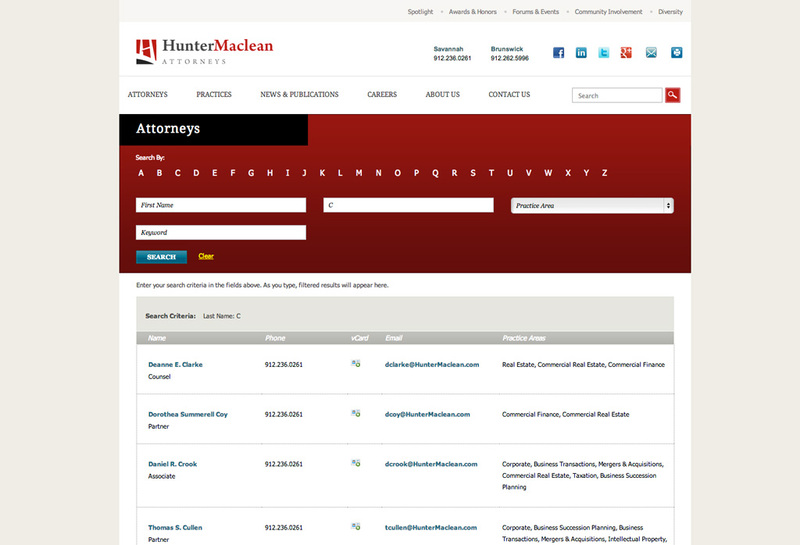 The first component of that web strategy involved the development of a robust attorney search tool, that gave users multiple ways of finding an attorney. The results page would then offer salient contact details instantly but without distraction. We also learned that much of the content on the website would be useful in more than one location, so we opted to dynamically generate pages, pulling content from relevant sources and eliminating the need for entering the same information more than once. 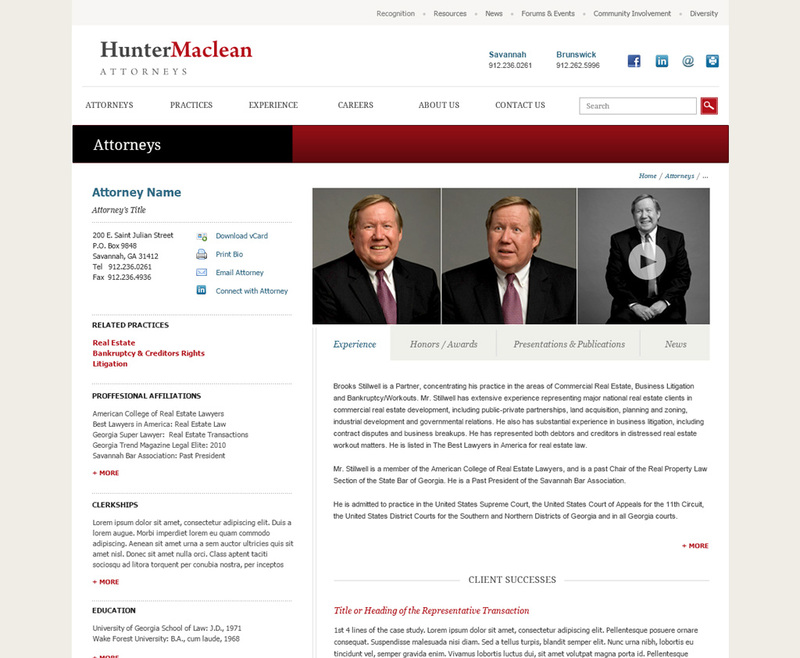 Nowhere is this more evident than the content-rich attorney bio pages where just about everything is pulled in from other areas of the website including their practice areas, experience, articles, news, honors and case studies.